Fall is the perfect time to start a classroom compost bin! 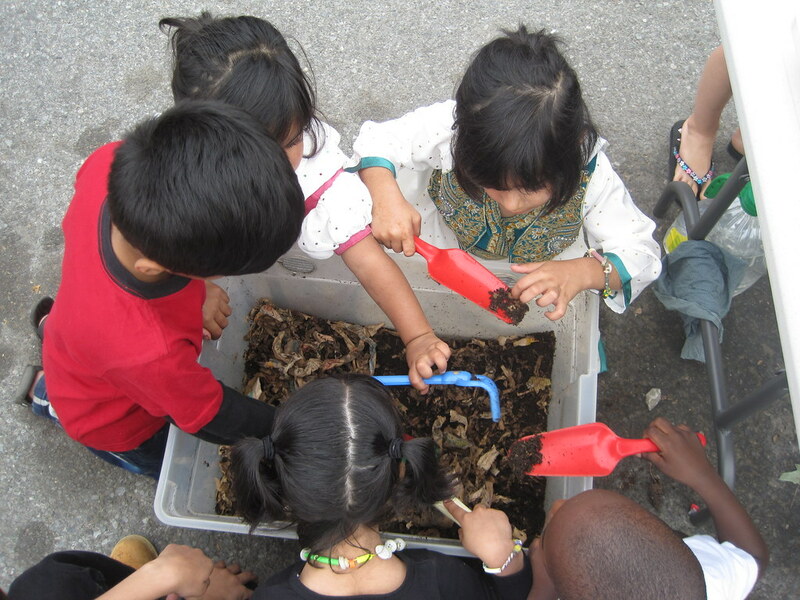 On Tuesday, August 23, the NYC Compost Project in Brooklyn is offering the workshop Worm Composting in the Classroom. Teachers will learn how to set up and maintain an indoor worm bin, and have the opportunity to purchase a pound of worms and a bin to assemble on site. Creating a classroom compost bin is a wonderful way to teach preschoolers, elementary, or high school students about conservation, recycling, and the environment. Composting with red wiggler worms is an environmentally safe way to recycle leftover lunch foods like apple cores and banana peels. A classroom compost bin can be used all year and can be the basis of myriad lessons—from story writing and language acquisition, to discussions about decay or the food cycle, to nourishing soil for classroom plants or gardens. Another reason for composting in schools, of course, is the amount of possibilities it provides for rich, hands-on scientific inquiry. Identifying different species of macroorganisms, discovering the chemical interplay between carbon-rich materials and nitrogen-rich materials, and even site-specific research on polluted soils and composts’ ability to buffer pH and tie up heavy metals are wonderful ways to engage older students’ curious minds. Interested in learning more? Contact [email protected]. Jenny Blackwell is curator of the Discovery Garden and plantings at the south end of Brooklyn Botanic Garden. I’ve been using this composting method for a few years now and it works well. Be careful using wood preservatives however, particularly if you plan on using the finished compost in a vegetable garden. Try preserving with citrus oil. My first boxes I built were with treated wood, and they rotted away anyway within a few years. Excellent vehicle to teach about composting! Children explore an indoor worm bin. Photo by Jenny Blackwell.